At Nature's Best we distribute a range of products that assist in keeping your furry feline healthy. From specialised formulas that freshen your cat's breath and benefit their overall oral health, to remedies that promote healthy skin and fur to reduce the formation of hairballs, Nature's Best can help keep your cat or kitten feeling their very best. With its natural salmon flavour, the Hartz Hairball Remedy Plus Paste is safe to use for both cats and kittens. Not only has it been specially designed to assist in safely passing hairballs throughout the gastrointestinal tract, but it also works to prevent and eliminate their formation. Contains Omega 3-6-9 oils and Vitamin E for a healthy skin and shiny coat. 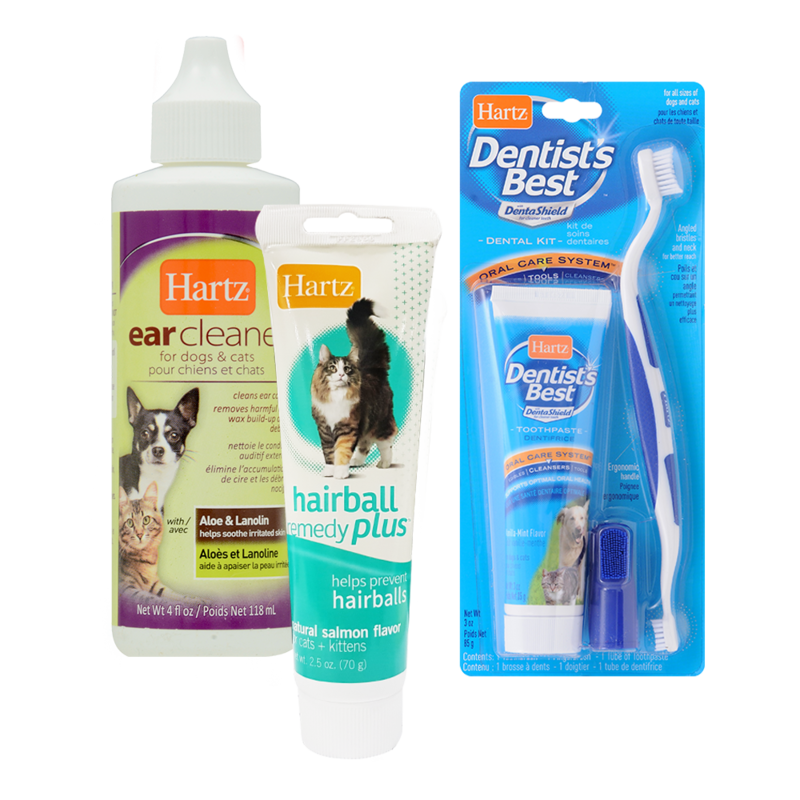 The Hartz Dentist's Best Dental Kit supports optimal oral health for cats of all different shapes and sizes. With a fresh vanilla-mint flavoured paste, the toothbrush also has an angled neck and bristles for a much better reach. Hartz Dentist's Best Spray works without even brushing. It is specifically formulated with Dentalshield to clean, whiten and freshen your pet's teeth and mouth with a simple spray. Hartz Ear Cleaner for Dogs and Cats is an extra gentle and easy solution that assists in reducing scratching, itching, and head shaking caused from irritation. Contains Aloe and Lanolin, which both assist in breaking down wax and debris from your pet's ears.